Consolidation of the brewing industry picked up steam through the late 1950s and early 1960s, as many regional brewing companies went bankrupt or sold their brands to larger national firms. Given the existing business environment and lower consumer demand, there was little chance for a new company to start up in Delaware. However, the Miller Brewing Company did purchase land in Newark in 1970 with the intent of constructing an enormous facility to serve as its eastern production and distribution branch. Miller was purchased shortly thereafter by Philip Morris, the Newark plans were abandoned, and the land was sold. The industry continued to consolidate through the 1960s and 1970s, as old beer styles and regional brands disappeared. By 1991, five brewing companies in the U.S. produced nearly 93% of the beer. The monolithic styles perfected by the large brewing companies — a cheaply made, pale yellow American pilsner and its reduced calorie counterpart — were expertly marketed and sold nationwide at the exclusion of other traditional beer styles. The genesis of the craft beer revolution began in 1978 with passage of the national regulation permitting homebrewing. Beer lovers who could not easily purchase the styles they sought to drink began making their own. Although homebrewing would not officially become legal in Delaware until 1998, many, including those who would later become professional brewers and brewery owners, were doing so a decade or more before. Since 1990, the U.S. has experienced a resurgence in its brewing culture, led by the widespread proliferation of small-production breweries and brewpubs. Indeed, Delaware has been one of the most fortunate benefactors of the craft beer revolution. By the end of 2013, the state had 10 craft breweries and ranked fourth in the nation in gallons of craft brew produced per adult. 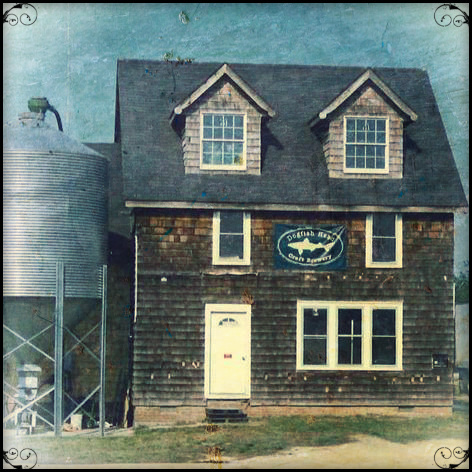 Dogfish Head Craft Brewing and Iron Hill Brewery are recognized nationally as production and brewpub industry leaders and several of the state’s other breweries have won medals in national and worldwide competitions. With the total number of breweries and meaderies at an all time high in Delaware and even more being planned, there is no greater affirmation that a new “Golden Age of Brewing” has arrived in the First State.